My mom and step-dad came to visit. We drove them all over the island and stayed at the Outrigger Reef in Waikiki. It's a great hotel, with friendly staff and all the necessities for a beach vacation. My parents stayed with us before we checked in to the Outrigger. They experienced the same kind of thunderstorm I wrote about a few weeks ago. This time the lights flickered, but we didn't lose power. The weather service said four inches of rain were coming down per hour. The clouds parked over our building for a solid hour and shot huge lightning flashes in front of our living room window. At one point, I jumped out of my chair. 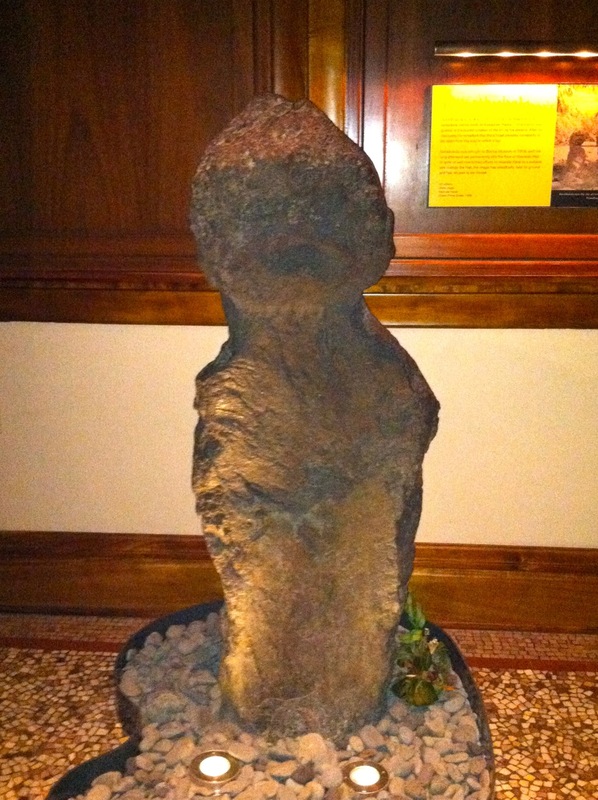 This storm was more severe than the thunderstorms I witnessed when I lived in Washington, D.C.
Oh, and I took my mom to the Bishop Museum where I snapped a photo of the Fishing God statue.